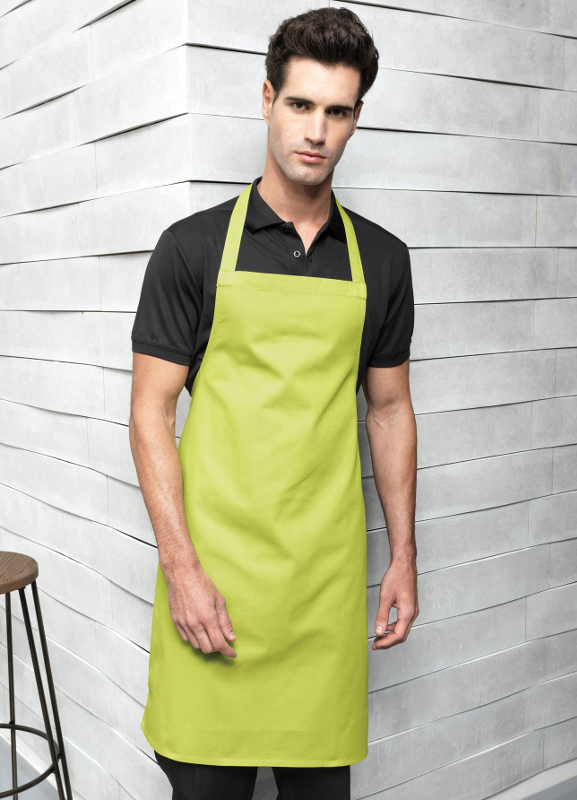 Popular bib apron style made from 100% pre-shrunk cotton twill for a heavier finish and stiffer feel. Self fabric ties. Without pocket and no adjustable neck.